Richard Rosecrance is also Adjunct Professor of Public Policy at the Harvard Kennedy School and Senior Fellow in the Belfer Center for Science and International Affairs. 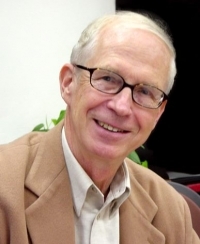 Formerly Director of the UCLA Burkle Center, Prof. Rosecrance has written widely on international topics and co-edited several now widely used texts. His most recent authored book is, The Resurgence of the West: How a Transatlantic Union Can Prevent War and Restore the United States and Europe by Yale Press (2013). Prof Rosecrance has also served on the Policy Planning Council of the U.S. Department of State, and in 2007 was a Fulbright Professor at Nuffield College, Oxford -- one of several visiting professorships during his career.